Earlier this week, Kristi had a fun, private tour, with Jennifer on a perfect Seattle day. She has just posted a number of great images on her blog from the tour. 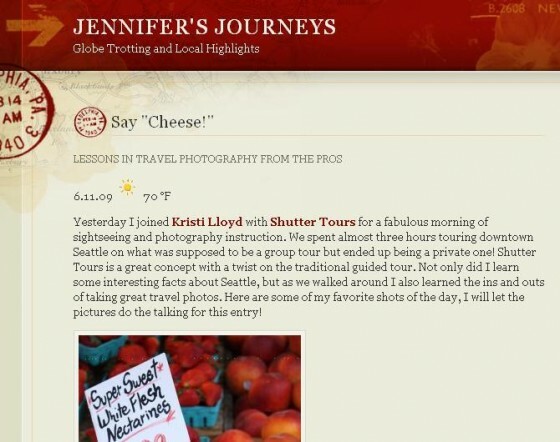 Jen, we’re glad you had a great time and thanks for sharing your wonderful photos from Seattle. See her blog entry at Jennifer’s Journeys. This entry was posted in Seattle Info and tagged blog, photo, photography, Seattle. Bookmark the permalink.